At the end of The International 2013, many thought that TongFu, the best placing Chinese team would stay mainly intact with little to no roster changges. But that was not meant to be as TongFu announced Zhi Hao 'Hao' Chen being traded for Yao 'Zhou' Chen a while back. Today they announced that both Yang 'KingJ' Zhou and Jiao 'Banana' Wang will be leaving the team as well. KingJ is heading to RisingStars while Banana's new home is in Invictus Gaming. In their place, former Vici-Gaming players ZSMJ and XTT will finish off TongFu's player roster. As fans can tell, iG is currently a six player team with Banana's addition with Hock Chuan 'ChuaN' being the odd man out as he was not seen playing for iG in their match today against ogurayui in the Sina Cup. 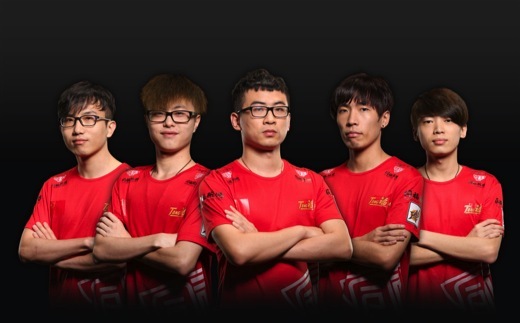 TongFu's new line up will debut tomorrow in their Sina Cup match against New Element.